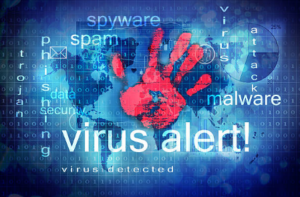 Worldwide Cybercrime is increasing rapidly, with email being the most common avenue of threat. All of our customers are aware of the ransomware viruses that can encrypt your files and require payment to have them un-encrypted. Some have had them and understand the downtime experienced when having to restore your files (even with good backup strategies in place). With Phishing, Spoofing, Whaling, Spear-Phishing all common forms of Cyber Crime, one could be forgiven for thinking these attacks occurred from the open water. But they all have one thing in common, that they can enter a company through email. Leaving aside the technical tools and strategies that can be implemented to assist reduce the risk of becoming a victim. One of the best strategies is educating users on what to look for in emails. Does the email say it’s coming from a company, but it’s coming from a personal or unusual email address? Is the email addressed to you by name, or does it contain a generic salutation? Is the email poorly structured, contain spelling mistakes or have unrealistic content? Do you know the sender, and are you expecting an email of this nature from them? In some cases though emails can be sent and made to appear to be from someone else. Are the Senders contact details included in the email? Do you normally receive emails from a company requesting information of the nature in the email? Was the email sent at an unreasonable time? Is there time pressure on you to open an attachment, or click on a link? Would you like to put your Staff to the test to help them learn? One way we can help educate staff is by performing a test within your organisation by sending a ‘suspect’ email to everyone with a link to click. The subject of the email is generally around a password change and contains content that users should identify as suspect. For those users that click it, it highlights what they missed in terms of the clues, and helps educate them for next time. If you are interested in trying this exercise with your staff, it only takes us about 30 mins to complete. Just send us an email requesting the test, and we will organise it for you. Sybiz Vision 16.22 (Vision.NET) is now available.